Place aux Herbes has been the heart of the city for centuries. Today, with its café terraces, it forms a hub where everybody goes by, and succeeds in being both lively and serene. 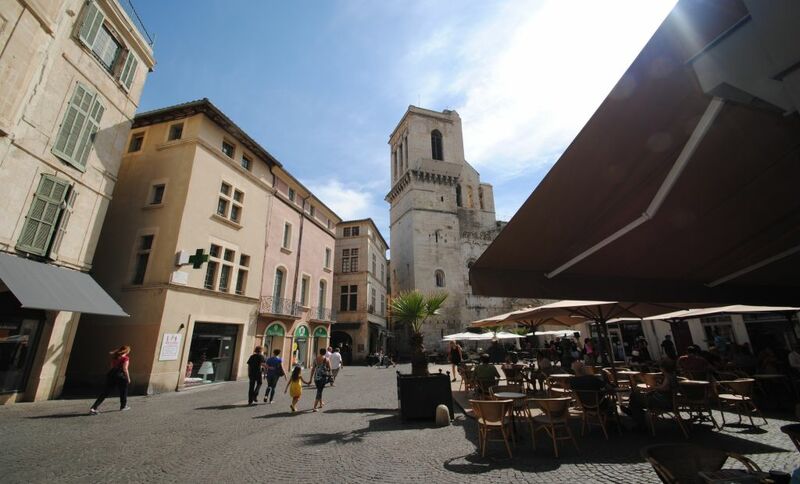 With mullioned windows, arcades with shops behind and the cathedral altered a hundred times, Place aux Herbes is a symbol of life in Nîmes, conjuring up the Middles Ages and the Renaissance. You can still see the square holes in the façade of the cathedral where medieval traders fixed their vegetable stalls. This is where assemblies met, where processions formed and where pagan festivities were held. The place was also the scene of tragedies during the wars of religion. Today, students from the art school and from the nearby "concervatoire" mingle with locals of all ages carrying their baskets to the covered market not far away.